A urinary tract infection may lead to your child suffering a birth injury. A urinary tract infection during pregnancy correlates with an elevated risk of delivering a baby with cerebral palsy. This is according to a study published in the Journal of Obstetric, Gynecologic, & Neonatal Nursing. Your medical provider and his or her staff have a duty of care to you. This includes monitoring you during pregnancy and childbirth to diagnose and treat conditions. If your medical provider misdiagnosed a urinary tract infection, it could lead to your child suffering a birth injury. As a result, you could have grounds for a medical malpractice claim. A urinary tract infection misdiagnosis birth injury lawyer from Newsome Melton can seek damages for you. We can gather evidence and go after your medical provider and any other responsible parties. For a free consultation with a member of our team, call us today at 855-633-2757. Your medical provider has a number of responsibilities to you as a patient. These same obligations apply to all other healthcare providers involved with your care. One of those responsibilities is to diagnose any emerging medical conditions. They must also promptly treat conditions that could pose a threat to your child. A urinary tract infection is one such condition. There is a link between urinary tract infections during pregnancy and cerebral palsy. An infection could lead to other complications for the baby, as well. Some of them are severe and present long-term consequences. If you do contract an infection, your medical provider has a duty to recognize the symptoms and diagnose it promptly. If your medical provider failed to recognize your urinary tract infection symptoms, we can pursue damages. We can also help if your medical provider did not make the correct diagnosis or did not make it promptly. Call 855-633-2757 today for a free case evaluation. The medical provider or provider had a duty of care to you. The medical provider or provider did not uphold his or her duty of care. Your child suffered a birth injury because of your medical provider’s failure. Your child’s birth injury caused you to incur economic or non-economic losses. We first show that the medical provider or other responsible party had a duty of care to you. Any medical provider has a duty of care to his or her active patients, as does any member of the medical provider’s staff involved in treating the patient. That duty extends to a pregnant patient’s unborn child. We then show that the responsible party did not uphold the duty he or she had to you as a patient. To demonstrate this, we use the “reasonable person” standard. How did your medical provider’s actions compare to those one would reasonably expect in that situation? Our team can bring in medical experts to review the evidence and then testify from the perspective of a reasonable medical provider. They will explain how they would have behaved and how the different actions they would have taken may have led to a better outcome. The next step is showing that your medical provider or provider’s failure led to you or your child suffering harm. In this case, we have to link the responsible party’s failure to uphold his or her duty of care to your child’s birth injury. We have extensive resources we can use to gather evidence and make this connection strong. The last thing we do is list the economic and non-economic damage you incurred because of your child’s birth injury. After we come up with a total amount, we can pursue the responsible party or parties for the full sum. To speak with a member of the Newsome Melton team today, call our office at 855-633-2757. You do not have unlimited time to file a medical malpractice lawsuit for a urinary tract infection birth injury. Every state has a statute of limitations on medical malpractice and birth injury lawsuits. The Newsome Melton team can help with deadlines that loom in your state. If needed, we can take quick legal action to preserve your right to recover damages. Call us today at 855-633-2757 for a free case evaluation. 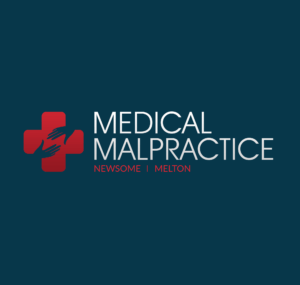 The urinary tract infection birth injury lawyers at Newsome Melton are eager to get started on your medical malpractice case. For a free case evaluation, call us at 855-633-2757.